Masuku Lodge is a bird watchers paradise with beautiful views over the Masuku Dam. This is an excellent place to see Zambia's only endemic bird, the Chaplin's Barbet. There is also a variety of antelope and mammals found on the conservancy including Kudu, Eland, Sable, Tsessebe, Bush buck, Duiker, Waterbuck, Zebra, Bush pig, Aardvark, Porcupine and Warthog. Meals are taken family style, in the main lodge dining room. There is also a spacious lounge in which to relax. 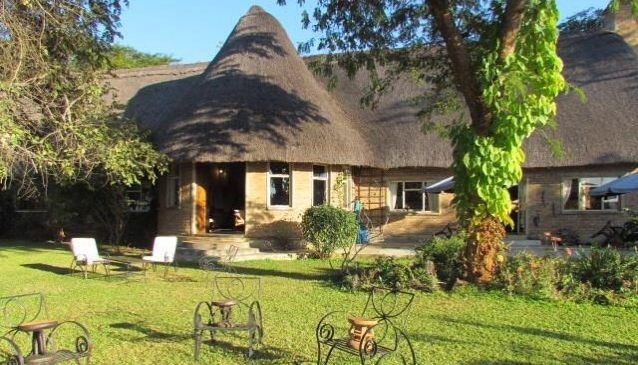 This is the perfect relaxing stop over en-route between Livingstone and Lusaka or ideal for a weekend getaway.